As Bitcoin makes international headlines and warnings of cryptocurrency booms and busts abound, there is much that IR scholars can productively add to, as well as learn from, debates over the latest ‘wild west’ of an unstable and crisis-prone global economy. Beyond the economistic, legalistic, and technical analysis of daily price swings, challenges posed to existing legislation, and potential vulnerabilities in computer code, IR can usefully foreground the forms of power, agency and legitimacy that persistently underlie technologically enabled shifts occurring in the transnational ordering of a range of activities, from agriculture trade to migrant remittances. By adding nuance to discussions that have tended to alternatively write off Bitcoin as evil or uncritically praise its underlying blockchain technology as ‘the greatest invention since the Magna Carta’ IR can build on longstanding efforts to understand the actors, processes and objects contributing to patterns of both change and continuity in global governance. Blockchains, at their core, are digital sequences of numbers coded into computer software that permit the secure exchange, recording, and broadcasting of transactions between individual users operating anywhere in world with access to the Internet. The development of blockchains, like most technological change, draws on previously existing technologies. In an initial instance, blockchains incorporate digital encryption technologies that to varying degrees mask the specific content exchanged as well as the identities of individual users. Algorithms, pre-coded series of step-by-step instructions, are also mobilized to solve complex mathematical equations and arrive at a consensus on the validity of transactions within networks of users. In a second instance, time-stamping technologies periodically bundle verified transactions into datasets, or ‘blocks’. Linked together sequentially, these ‘blocks’ form ‘chains’ that make up larger ‘blockchain’ databases of transactions broadcasting permanent records of transactions whilst maintaining the anonymity of users and specific content exchanged. Blockchains are meant to be immutable, unless users arrive at a clear consensus to undertake changes. Authored by a still unidentified individual or group of individuals using the pseudonym Satoshi Nakamoto, the technical design for blockchains initially outlined in a 2008 white paper was quickly taken up in an online community of technology enthusiasts. Bitcoin, the first time-stamped ledger of user-verified transactions, appeared in 2009. 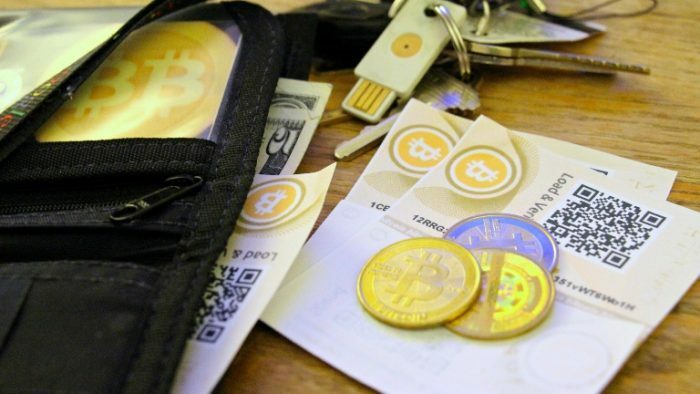 Intended to enable the transactions of a monetary-like ‘currency, the non-proprietary and open source software underlying Bitcoin was then replicated to develop a flurry of competing cryptocurrencies, as well as further applications to exchange, verify and broadcast information on everything from ownership rights and contractual obligations to votes and citizenship. Identifying whether or not, as well as how, specific actors and processes are actually empowered or disempowered by instrumental uses of blockchains is a first contribution IR scholars can make in nuancing debates over the implications of these and other emergent technologies. As is well recognized in IR scholarship, technological change rarely benefits everyone equally. Studies of global digital divides remind us, for example, how some actors remain in far better positions for harnessing digital technologies like blockchains. Those with stable Internet access and ownership of smartphones or high-powered computers are much better equipped for the ‘block-age’ than many in low-income communities worldwide where often costly access and ownership can be well beyond the exigencies of daily survival. Recognizing longstanding asymmetries in the ability to harness technologies like blockchains is necessary to move beyond widespread consultancy-speak that assumes universal gains from ‘digital disruption’. In detailing how blockchains may not exactly be desirable for everyone IR scholarship can draw on studies revealing how digital technologies have empowered historically weak, as well as dominant actors in manners both perpetuating as well as ‘disrupting’ power relations underlying global governance. On the one hand, blockchains empower civil society organizations like charities, individual migrants, and a range of ‘disruptive’ new market actors such as cryptocurrency exchanges. On the other hand, blockchains can also further empower central banks as well as a tech-savvy and largely male transnational elite whose expert knowledge and technological skills enable them to exercise decision-making power as key ‘insiders’ in what appear to be novel governance processes. For instance, a few ‘benevolent dictators’ have played key roles in the ‘civil war’ that ignited over whether or not to change the Bitcoin blockchain in order to address the growing backlog of transaction verification and settlement. Tracing asymmetries in the relative power exercised by some actors over others enhances understanding of how blockchains are being used in forms of global governance with technology. Analysis of relative gains from technological change can then be supplemented through approaches stressing the social construction of technology. IR scholars can also contribute to the ‘opening up’ of complex technological ‘black boxes’ by revealing how the specific ideologies and ideas underpinning blockchains have the power to (re-) constitute the interests and incentives of their users. Rather than apolitical, neutral tools that may or may not influence the relative power of state and non-state actors, technologies contain normative biases that always constitute their users in particular manners. For instance, the computer code underlying Bitcoin has been regarded as a type of “techno-Leviathan” positioning cryptocurrency users in a Hobbesian “state of nature, in which the law of might – or the laws of the market – prevails”. That the original Bitcoin blockchain is explicitly underpinned by libertarian ideology has become widely recognised by critics and promoters of the cryptocurrency alike as constituting users as particular types of “consumer-citizens”. Libertarian ideologies underpinning further applications of blockchain technologies have also been shown to incentivize their users to solely “act as rational, self-interested, and untrusting agents”. Identifying such underlying ideas and tracing how they can lead blockchain applications to extend particular types of individualistic and capitalist relations rather than solidarity and social activities is important for IR scholars to explore in furthering debates on a technology frequently regarded as simply ‘neutral’. How forms of governance by blockchains enabled by the ‘meta-power’ of emergent technologies are in turn countered by more traditional state-based governance responses is equally crucial for IR to scrutinize.